Marcus Miller completed a Hilton Prize Coalition Fellowship with SOS Children’s Villages, the largest nongovernmental organization dedicated to the care of orphaned and abandoned children across the globe. Marcus holds a Master’s Degree in Film & Video Studies and a Bachelor’s Degree in Media Communications from George Mason University. He also received a Technical Diploma in Web Development from General Assembly in Washington, DC. In this post, Marcus reflects on his experience as a member of the Marketing and Communications team at the SOS-USA headquarters. When I first applied for a Hilton Prize Coalition fellowship for SOS Children’s Villages I knew very little about the organization, but what intrigued me about them was the work that they do for children across the globe. I state in my portfolio that my professional mission is to produce digital content that elevates humanity and society, so two things about SOS’s fellowship description that caught my eye were the phrases “digital content” and “serving children.” After reading that I was sold. I have friends around the city from various backgrounds across the world who raved about the organization and how popular they were on a global scale. This was exciting to me because my career goals have always been based on impacting culture and society, whether through an advertising agency, media outlet, or an awesome non-profit that benefits the needs of the people. During my journey at SOS, my main responsibility was to create and improve digital content for the end of the year fundraising efforts. The end of the year/holiday season is always the most important time to raise money because that is when the majority of donations are made. I was very excited and up for the challenge of not only putting my new coding knowledge to the test, but also having an opportunity to really help vulnerable children across the world. My duties included building web pages for sos-usa.org, creating email templates and donation forms to engage donors and non-donors, and creating video content for social media, YouTube, etc. From the get-go, the organization made me feel very comfortable, giving me the green light on creativity, engagement, and ideas to further improve digitally. I adapted so quickly that I got to a point where I felt able to handle the maintenance of the website primarily on my own. One of my goals was to grow professionally, especially at a high profile organization. As a global non-profit, SOS definitely gave me the chance to do just that. It was so exciting to work with people overseas, knowing that everyone had the same goals in mind. I’ve conducted meetings, learned new software that I know I will need in the future, and most importantly I’ve gained experience and knowledge from a marketing standpoint. My background is based on media and technology, but being able to work with experienced professionals and learn the strategies that it takes to not only reach an audience but also to impact people was gold for me. To cap it all off, 2017 was SOS’s highest grossing year, and I am so happy to be a part of that. Last but not least, I am grateful for the people here at SOS. I always say that your workplace is your second home and that your co-workers are your second family, and man, did the people here confirm my view. The vibe here is just so family-oriented and loving. Everyone here is about the service business and everyone being equal. 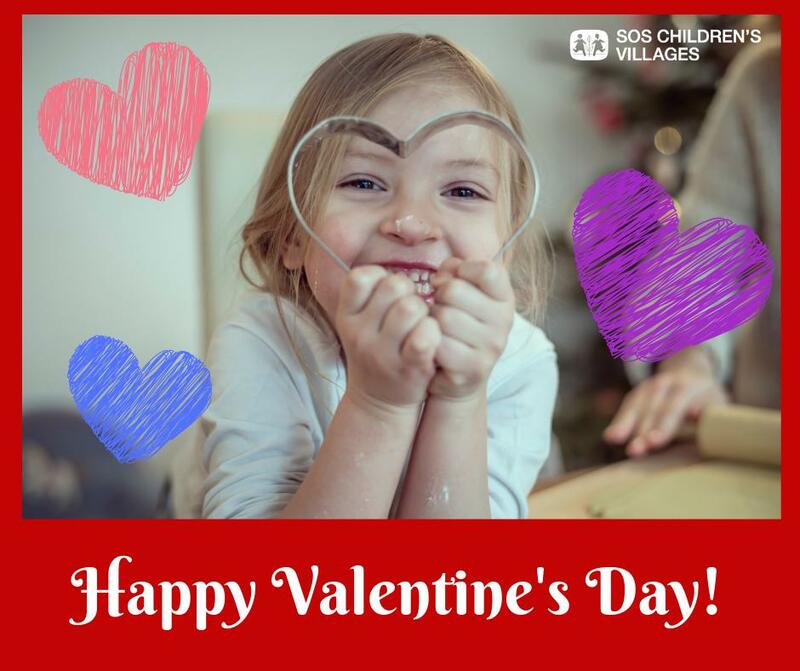 They have a very diverse group of people, and the children that we do work for are very diverse as well, as SOS operates in over 135 countries. We throw so many functions/events here, including happy hours, birthday celebrations, potlucks, holiday parties, etc. Bonding and experiencing joy with my new group of co-workers made me feel like I worked there for years. For that experience I cannot thank them enough, as those memories will always live in my heart. I call this fellowship a journey because there were so many emotions that took place during my time here. I was fortunate to experience life working in a major city such as Washington D.C. just as I’m beginning my overall career path, especially during these changing times. With the political climate and the tragedies that go on in our world each and every day, these days just feel so different and more out of whack than ever before. With that being said, I have to admit that waking up every day to focus my energy and efforts towards REAL problems going on in our world such as taking care of starving and displaced children definitely made me feel like I was doing my part to make the world a better place, and I am so grateful. There were times I would work on photographs and images of the children and I would quietly just tear up knowing that I am actively doing my part to help them, and that my help was paying off. When I think about it, at the end of the day it’s not just about yourself. It’s about us as a whole and our future generation. We are only as strong as our weakest link, and during these times if you’re not standing for something then what are you doing?